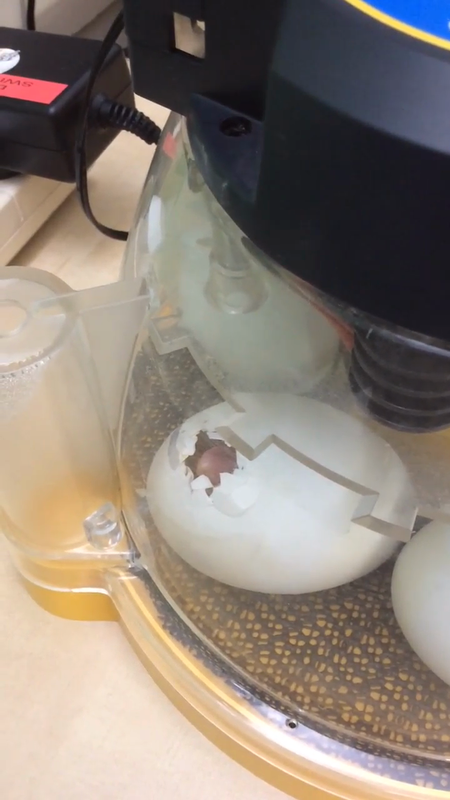 Day 2: The eggs are beginning to pip (this means the duckling is tapping its way out). First she made a tiny hole in the egg. After lots of hard work she broke the egg in two. Then she had a rest in the warm incubator. The warmth dried her soft down feathers.